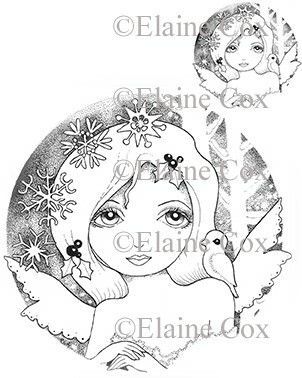 This is for the beautiful rubber stamp set called Christmas Bird designed by the talented Elaine Cox for Sweet Pea Stamps. This is a set of two stamps - approx size 3.75" x 3.50" for the large stamp and approx. 1.50" x 1.25" for the smaller stamp which is perfect to stamp on the front of your Holiday envelopes!